As the Regional Extension Centers (REC) program has sunset, several RECs have already adopted HIPAA One to ensure a standardized, affordable solution for ongoing CAH and clinic support. We have helped Synōvim, a leading Regional Extension Center and valued partner, succeed in this new era of sustainability. As a Regional Extension Center, you already have established trust within your healthcare community and may offer them an industry-proven HIPAA Security Risk Analysis solution as part of an ongoing risk management program. Quick support, software improvements and regulatory compliance are necessary to reduce risk for you and your clients. So why is a partnership with HIPAA One the right choice? 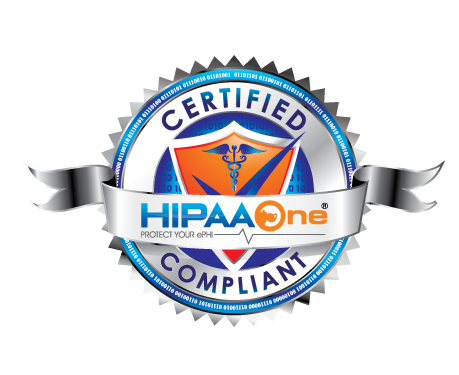 HIPAA One® is an online software system that identifies the gaps in compliance the conducts a full risk analysis on each gap. This automation alleviates 6 of the 9 steps from NIST SP 800-30 so you can quickly and easily fix those gaps for you and your clients. You can use our system as a standardized platform to automate most of the risk analysis process, and provide documentation and reporting. Synōvim Healthcare Solutions, Inc. is an independent, non-profit organization sponsored by the Kansas Foundation for Medical Care (KFMC) and the Kansas Association for the Medically Underserved (KAMU). By gaining experiences through the highly successful Kansas Regional Extension Center, Synōvim’s consultants have refined their clinical and HIT knowledge to provide a competitive advantage in a rapidly advancing field. Now the most valued advisor in health information technology throughout the state of Kansas, Synōvim offers proven expertise in EHR implementation & optimization, Meaningful Use assistance and Information Systems Security Management. For more information, visit synovim.org. The HIPAA One solution is inexpensive, easy-to-use and provides superior software and support. This solution augments your technology tool-set, reducing liabilities while improving client services. We’d love to answer any of your HIPAA related questions or questions about our software system and turn-key packages. Contact us today with your questions or for more information about becoming a partner with HIPAA One.